Red Poppy Flowers In The Field. Beautiful Springtime Scenery.. Stock Photo, Picture And Royalty Free Image. Image 116824728. 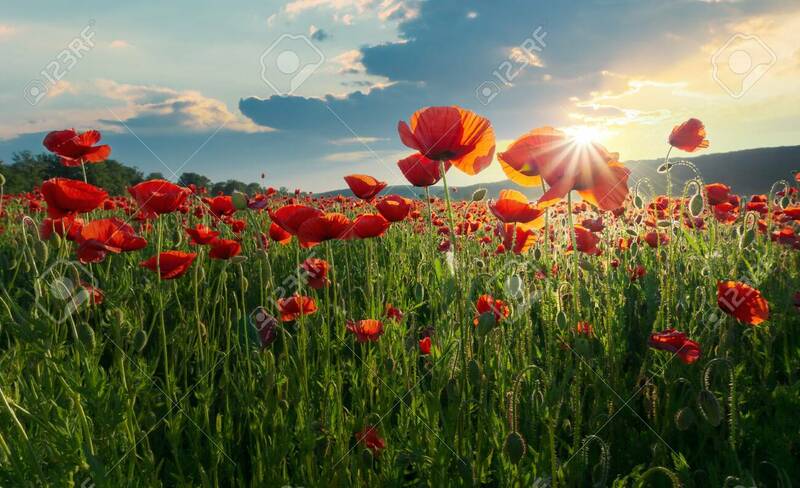 Stock Photo - red poppy flowers in the field. beautiful springtime scenery at sunset in mountains. lovely nature background. red poppy flowers in the field. beautiful springtime scenery at sunset in mountains. lovely nature background.